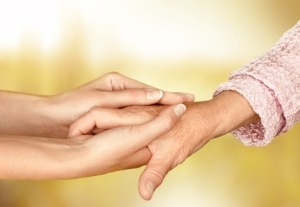 Hospice is a special healthcare option for patients who are faced with a terminal illness and their families. A team of physicians, nurses, hospice aides, social workers, bereavement counselors and volunteers work together to address the physical, social, emotional and spiritual needs of each patient and family. Care to patients is given regardless of the of the patient’s illness, age or ability to pay. Many patients are able to stay in their own home during their illness.